I’ve never been able to interview a model before – until today! Little Toast is a King Charles rescue with a signature toothless but gorgeous grin that’s got her modeling gigs the world over! We were fortunate to catch up with jetset Toast on her way back from Italy. See why 365,000 Instagram followers can’t get enough of this little pup! Toast: I think the fans, especially all the boys! Plus, I love to raise awareness for puppy mill rescue. 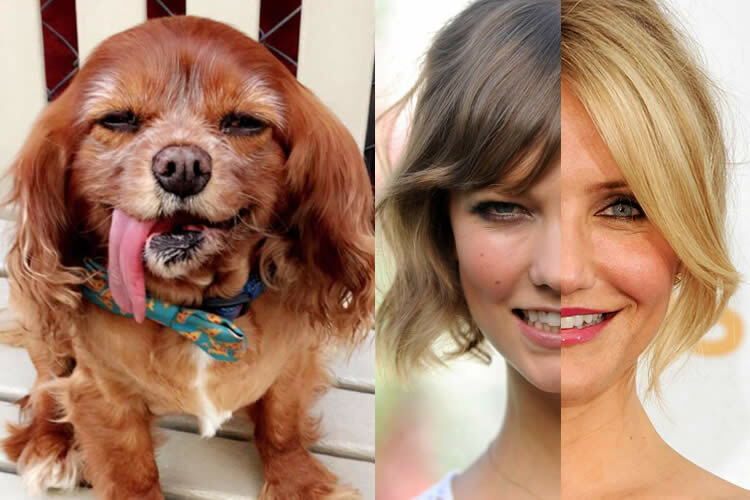 Toast: A mix between Karlie Kloss and Cameron Diaz, but prettier. Toast: My mom @The12ishStyle is seriously stylish and a PR genius. She’s my mom, my best friend, and she’s also my dogager. Toast: Yes! My sisters/less famous roommates @muppetsrevenge and @underpantsthedog, both rescues, too! 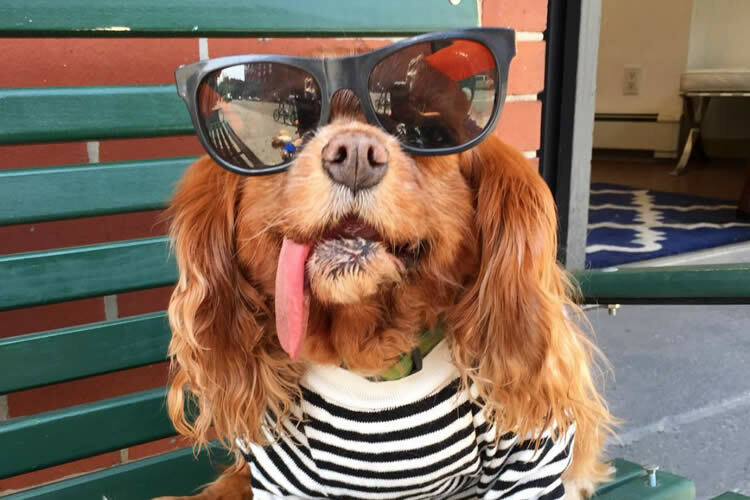 Toast: Modeled the entire Karen Walker Summer 2015 Eyewear Collection…I got lots of treats that day. Toast: Anything with Rob Lowe!!! He’s my celebrity crush. I also love Real Housewives of New York, but only because I was on it. Toast: Model, and luckily, I am one already! Toast: Man Repeller for her whacky fashions, Friends of Finn to see the latest in changes for puppy mill legislation, and Netflix. Sully: Are you thinking of writing another book? If so, what will you write about? Sully: Soft tacos or hard tacos? Toast: Soft, duh! I have no teeth!